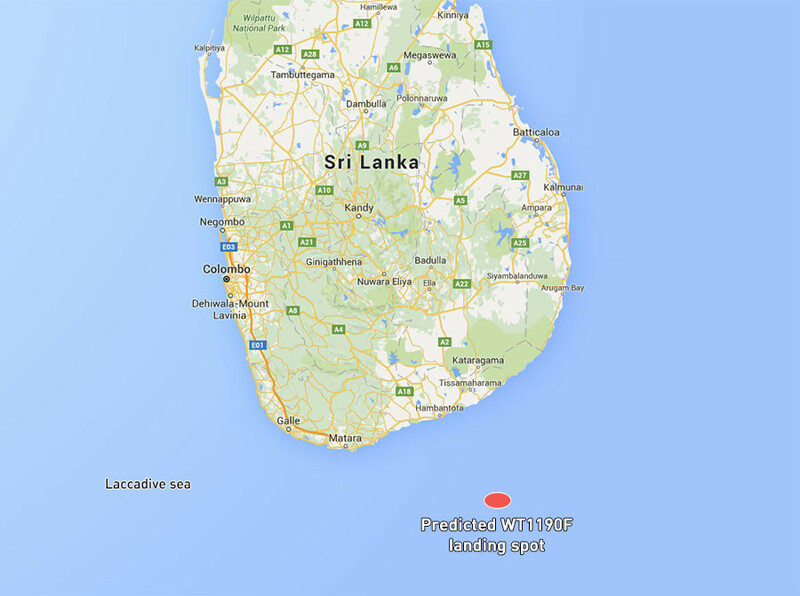 A mysterious chunk of space debris will hit Earth off the coast of Sri Lanka on November 13. Scientists have no clear idea what it is, other than that it is likely artificial in origin, and have dubbed the object WT1190F. “It’s a lost piece of space history that’s come back to haunt us,” Jonathan McDowell, an astrophysicist at the Harvard-Smithsonian Center for Astrophysics, told Nature. From then on they calculated the orbit of the object, which has been circling the Earth at a longer orbit than the Moon, and deduced that the piece of cosmic refuse was likely placed there by man. “To fit the solar radiation pressure effects on its orbit you need to assume a high area-to-mass ratio – implying the thing is hollow, like an empty rocket stage would be,” McDowell told Popular Mechanics. Astrophysicists believe that the object could even be a memento of the Apollo missions that took US astronauts to the moon. But scientists may never discover for sure: WT1190F’s re-entry into the atmosphere would likely burn up most of the debris, before dumping it in an extremely remote spot. But scientists are also using the arrival of WT1190F to simulate a different situation – that of an asteroid or a large projectile hurtling towards Earth. 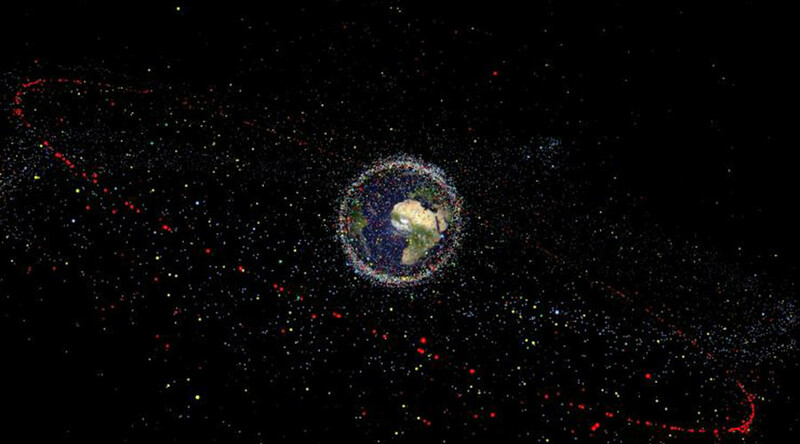 Alerts will be raised, and multiple labs will track the debris in real-time, though there will be no need to warn the military, or send Bruce Willis into space. “What we planned to do seems to work. But it’s still three weeks to go,” Gerhard Drolshagen, who manages the European Space Agency’s near-Earth objects office, told Nature. Although this is the first instance of a piece of space debris being tracked as it returns to Earth, WT1190F is not a one-off. Among all recognized space junk, there are 86 unknown objects crossing the lunar orbit, mostly lunar probes, or parts of rockets. There are also dozens of others floating uncontrollably in outer space, of which McDowell says about 20 are being observed from Earth. These will likely outlast most objects on Earth, and would possibly be the first harbinger of our civilization to be witnessed by any other species in our universe.